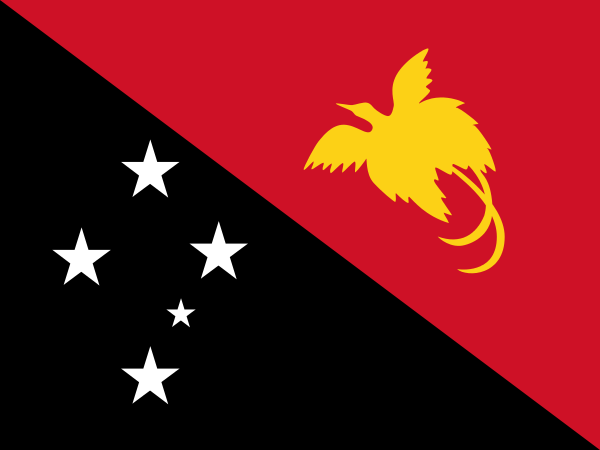 Papua New Guinea, in Tok Pisin: Papua Niugini), officially the Independent State of Papua New Guinea, is a country in Oceania, occupying the eastern half of the island of New Guinea and numerous offshore islands (the western portion of the island is a part of Indonesian provinces of Papua and West Papua). It is located in the southwestern Pacific Ocean, in a region defined since the early 19th century as Melanesia. Its capital, and one of its few major cities, is Port Moresby. It is one of the most diverse countries on Earth, with over 850 indigenous languages and at least as many traditional societies, out of a population of just under 6 million. It is also one of the most rural, with only 18 per cent of its people living in urban centres. The country is also one of the world's least explored, culturally and geographically, and many undiscovered species of plants and animals are thought to exist in the interior of Papua New Guinea. New Guinea is between the Coral Sea and the South Pacific Ocean, east of Indonesia. If you want to teach English in Papua New Guinea, there are a few minimum requirements you must meet. The eastern half of the island of New Guinea - second largest in the world - was divided between Germany (north) and the UK (south) in 1885. The latter area was transferred to Australia in 1902, which occupied the northern portion during World War I and continued to administer the combined areas until independence in 1975. A nine-year secessionist revolt on the island of Bougainville ended in 1997 after claiming some 20,000 lives. For the past three years he has been on mission in Papua New Guinea, in charge of the protection of minors, education, evangelisation, and teaching the Christian faith, especially to young people. TESOL Certification for Teaching English to Speakers of other Languages in Papua New Guinea.